An international campaign to support Bangladesh’s trade unions in the face of a government crackdown has won key concessions. 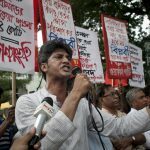 Global unions, backed by a strong stance from brands sourcing from Bangladesh, including several members of the UK’s Ethical Trading Initiative (ETI), secured the release of almost all the trade unionists arrested in the recent crisis and a commitment to drop the charges hanging over them. The crackdown, which saw more than 30 trade unionists imprisoned on a mishmash of unlikely charges, provoked outrage from unions, campaign groups and brands. Protests took place around the world on February 16 as allies gathered outside Bangladesh embassies to demand the immediate release of prisoners. 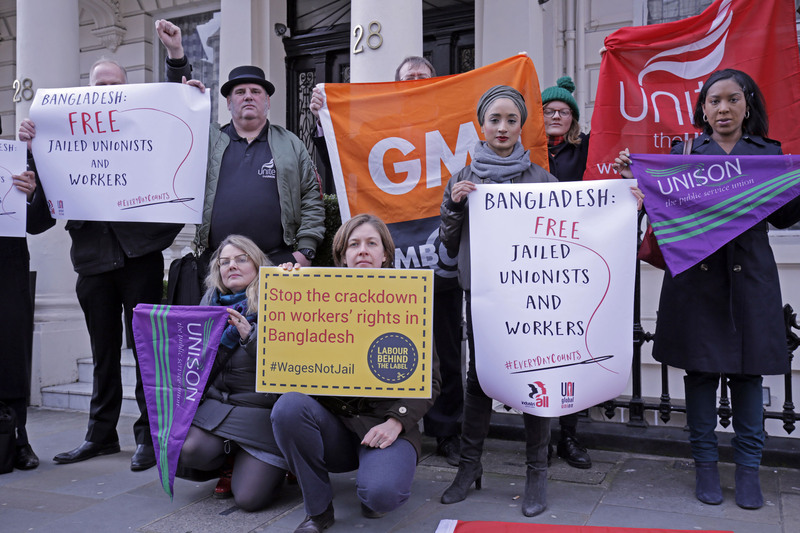 In London, the TUC, Unite, Unison, Labour Behind the Label, War on Want and others gathered outside the Bangladesh High Commission and presented letters calling for swift government action. The TUC also joined global unions in writing to MEPs, and the British government, asking that the EU investigates Bangladesh’s “Generalised Scheme of Preferences” trade status, under which the country’s government undertakes to respect workers’ rights. This request will stand, despite the concessions. 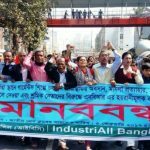 The Bangladeshi government’s climb down appears to leave its repressive strategy in tatters, as in order to make the deal it has had to formally recognise IndustriALL Bangladesh Council (IBC) as a negotiating partner for the first time, leaving the union voice in Bangladesh actually strengthened – at least for now. The promise to drop the charges against those arrested comes in time to reverse the brands’ and ETI’s boycott, suggesting that both the government and the BGMEA were spooked by the number of western companies backing the international trade union campaign. It now looks as they are now aware that they seriously misjudged the international mood on workers’ rights, believing they were protecting their foreign investment by keeping workers poorly paid and without representation; the strong reaction from brands in siding with the global unions must have made them realise quite how close they were to driving away the investment they thought they were securing. With unions proving that they can mobilise worldwide support for Bangladesh’s workers, the country’s government may think twice before it indulges in such a cynical attempt to suppress human rights in the workplace. However, the core issues that sparked the crisis, especially that of the low minimum wage, are still to be resolved. The attention of unions and their members around the world will still be needed to ensure Bangladesh’s workers see their rights respected. Workers’ rights in crisis in Bangladesh Act now! 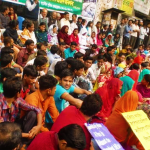 Demand Bangladesh release 11 textile union leaders Bangladesh textile workers face layoffs & prosecutions: global corporates must act Is the campaign for workers’ rights, higher wages & safety over in Bangladesh? Promoted by Frances O'Grady on behalf of the TUC, both of Congress House, Great Russell St, London, WC1b 3LS. 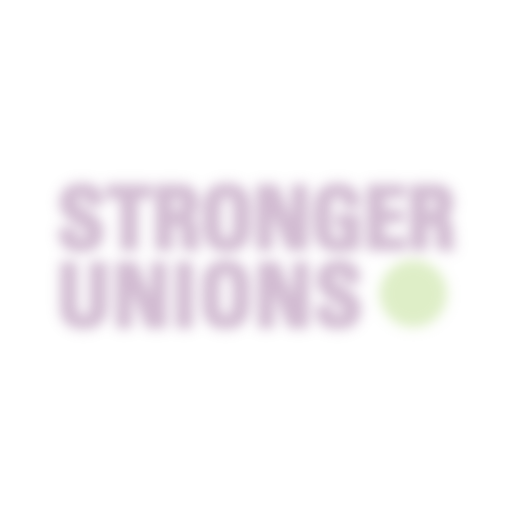 Copyright © 2013 Stronger Unions, Trades Union Congress. All rights reserved.